Billingsmoor Farm Campsite is a peaceful, tents only campsite set on a 400 acre working organic dairy farm. We offer individual tent only pitches for nature lovers, real campers and their families, who are looking to explore Devon. Our camping pitches are large, come with their own private toilet facilities with cold hand washing facilities, standpipe, camp fire and picnic table and free hot showers. We also have undercover washing up facilities. 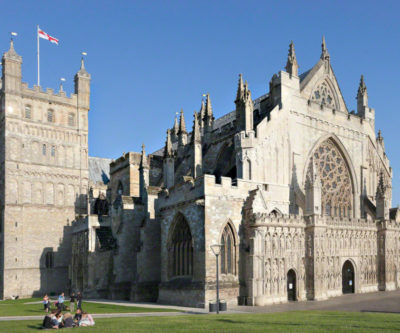 Although we are surrounded by countryside, we are perfectly located for exploring both the North and South coasts of Devon being just 10 minutes from the M5 Historic Exeter is just 12 miles away and nearby Tiverton offers one of only 5 horse drawn canal barges left I the country. Our campsite is totally free from cars (wheelbarrows are provided for taking your equipment from the car-park to your camping pitch). 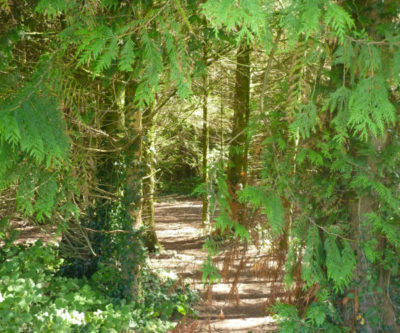 This means that children can safely play in the large field as well as explore our extensive woodland. Being a working farm there is always something going on and you may have the opportunity to help feed the calves or see the milking. We aim to offer a family friendly peaceful safe environment and with this in mind we do not accept groups. We have our own forest school which can be booked when you are here. 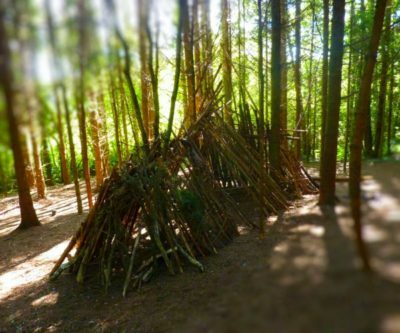 To find out more about the forest school and ask them questions please click HERE. To make you stay more comfortable we offer a range of services and food hampers that you can pre-order before your stay.